Sometimes, you receive a piece of blogger mail that just makes your heart melt. That's the only way I can describe how it felt to receive this absolutely stunning papercut of my cat, Harley, from Twenty Fingers*. Whilst I'm mostly here to gush about the gorgeous papercut I received, I'm also giving you the chance to win a papercut for yourself. Just read on to the end for more details on how to enter. Twenty Fingers is a family run business, based in Milton Keynes. A husband and wife team, they create quirky and unique home decor gifts and artwork. 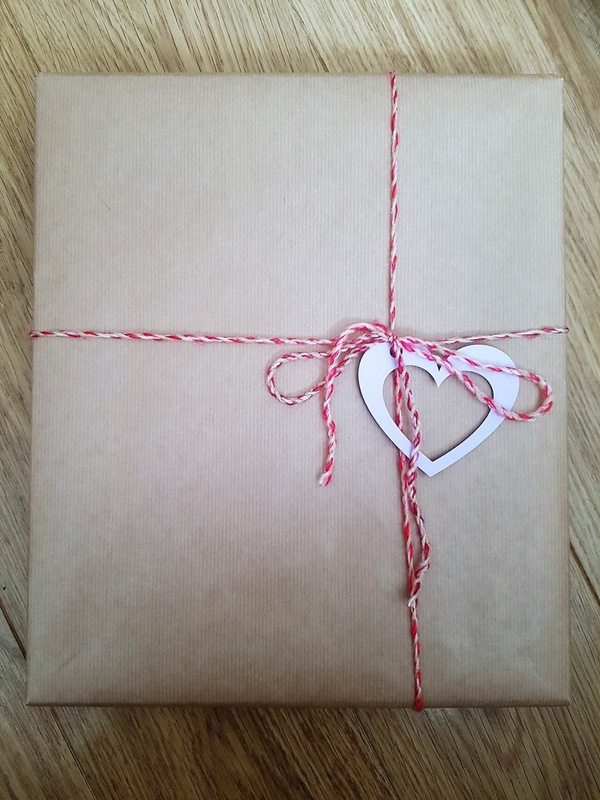 Their products are made right here in the UK, and the pair value quality above all else; so you can be sure you'll receive a gift you're proud to give! Twenty Fingers offer a wide range of products to suit, well, everybody. Whether's it's a Father's Day present (18th June, guys!) 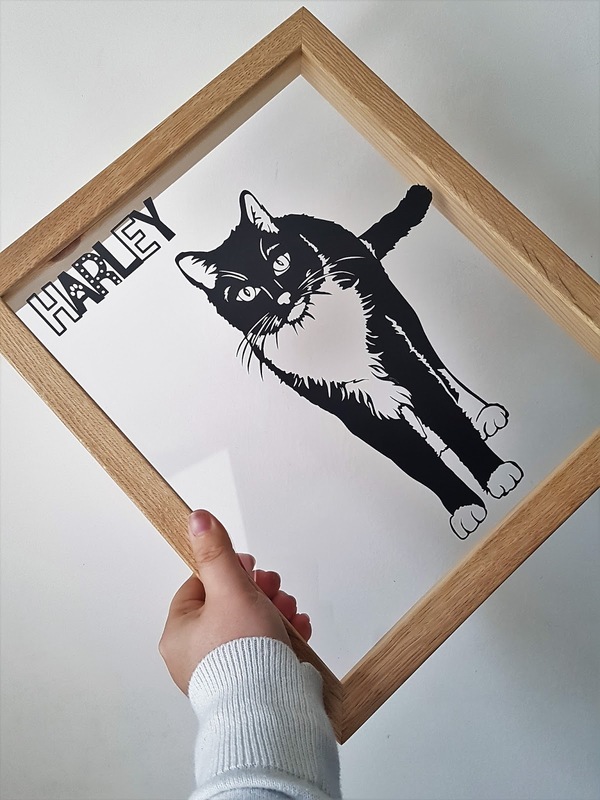 or a wedding present; a family pet immortalised, or your favourite quote; you're sure to find what you want in their online shop. Obviously, being as in love with my cat as I am, I went with a pet portrait. 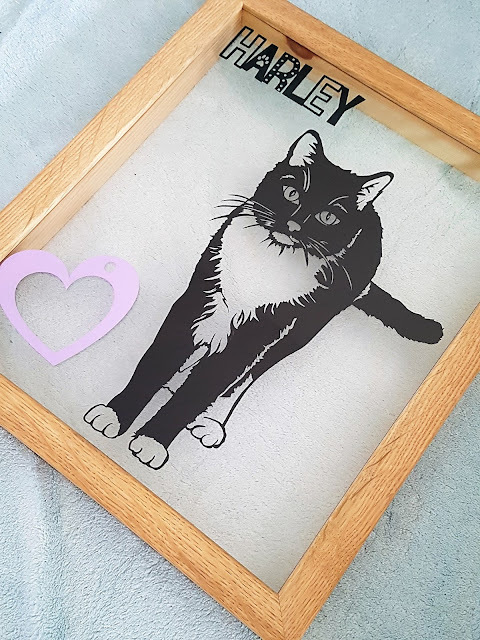 The ordering process was really simple; I just uploaded a photo of my cat I wanted them to use, selected the frame colour and art work colour (obviously, as my cat is black and white, I went with black!) You're also given a choice of size; standard or large. For reference, I chose standard. You can add text (e.g. a pet's name) and embellishments (I have no idea what that means, but presume it's anything extra you want in the picture?) Then just sit back and wait! I received a proof of the papercut before it was finalised; this was to check I was happy with how the portrait looked, and gave me the chance to add anything extra. As it was, I was so happy with the proof and even more excited to receive the finished product! It was only one or two days later that the papercut arrived at my door; beautifully wrapped. It looked so pretty, I almost didn't want to unwrap it. But I did! I won't bore you with how difficult it was trying to get a decent photo of the papercut. VERY DIFFICULT, btw. Because it's glass, obviously, it reflects everything. Trying to find a spot in my house where it didn't reflect either me, the sun or the lampshade was difficult but I managed. Obviously. I was happy to take a gajillion photos, though, because I just couldn't wait to show the world what a beautiful papercut I'd received from Twenty Fingers. I'll definitely be using Twenty Fingers again, in the future. They have some gorgeous wedding and anniversary papercuts; I know I'll be treating myself to one or two after our wedding in September! And I'd highly recommend them to anyone looking for a unique and thoughtful gift. With Father's Day coming up, why not shop their Gifts For Dad selection? We've lived in our house for nearly four years, and we still haven't got a single photo up on the walls. But you better believe that, a few days after my papercut arrived, my fiance found himself hanging it on our living room wall. It makes me smile every time I see it; and I always get so many compliments on it from visitors! That's why I'm thrilled to be able to offer ONE lucky person their very own "Any Text, Lyrics & Quotes Papercut" from Twenty Fingers! Details on how to enter below. You have until the 21st June to enter - good luck! I know you are ;) Aww what a nice idea!